Two Democratic members of the San Diego city council, already safely re-elected, have been giving their surplus campaign funds - gathered in large part from an array of special interests with business at city hall - to the county Democratic party. 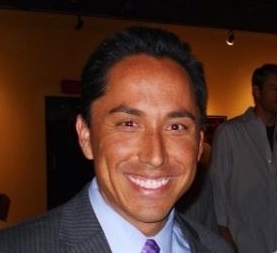 As we reported back in June, the third district's Todd Gloria ran unopposed for re-election this year, but still managed to collect $51,033 during the first five months of the year. A big chunk of the money came from Republicans, lobbyists, and developers. Donors included Ace Parking’s Keith Jones, a backer of ex–GOP independent mayoral candidate Nathan Fletcher; La Jolla attorney and lobbyist Matthew Peterson; Temecula resident Ginger Hitzke, president of San Marcos–based Hitzke Development; Constance Ziegaus of lobbyist Southwest Strategies; developer Perry Dealy, a close associate of U-T San Diego publisher Doug Manchester; Kilroy Realty’s Steve Scott; lobbyist Craig Benedetto of California Strategies; Yunmi Martin of Irvine Apartment Communities, Rancho Santa Margarita; and downtown builder Morgan D. Oliver, who was joined by five associates of his OliverMcMillan Company, as well as assorted spouses and friends. (Hillary Crowe of Waipahu, Hawaii, who gave the maximum $500 on May 30, was listed as the firm’s 'chief culture officer.')" According to its most recent campaign disclosure statement, posted online earlier this month by the San Diego city clerk, Gloria's fund spent $20,759 of its bounty from July through the end of September, leaving it with a healthy cash balance of $60,159. $12,500 went to the county Democratic party on September 21; $2,500 was given to San Diego Democrats for Equality the same day; and $2,000 was paid to a local committee opposing Proposition 32, the anti union political payroll withholding measure on the state ballot, on September 5. In total, the Gloria fund has given $22,000 to the county Democrats since the beginning of the year, the report shows. Gloria's fellow council Democrat, Marti Emerald easily trounced her opponent, Mateo Camarillo, leaving her with a surplus of $19,788 on July 1. On September 30, her fund gave $13,300 to the county Democratic party, according to the committee's disclosure report, spending the rest on various overhead items, including a $904 "Campaign Victory Brunch" for Emerald and 15 supporters at Humphrey's on Shelter Island. my2cnz Oct. 18, 2012 @ 1:25 p.m. Regarding Todd Gloria you write: "A big chunk of the money came from Republicans, lobbyists, and developers." So, Republicans donated to Todd Gloria and now he's giving Republican money to the Democrats? Cool! nostalgic Oct. 18, 2012 @ 3:19 p.m. When you take someone's money, they expect something in return. That's the way politics works.